That mistake is turning to foreign currencies as a hedge against crisis instead of physical gold, according to Russian coin dealer Dmitriy Balkovskiy. In an article for Casey Research which we outlined in Monday’s blog, Balkovskiy recalls incidents he witnessed on December 16, 2014 – the day the Russian ruble crashed – and uses them to make his case for gold ownership. Also on the blog, we wrote of what’s to be learned from the World Gold Council’s report on the prominent role gold plays in Turkey’s economy and society, and covered the news that hedge funds have taken their most bullish position on gold in two years. Read on for more. Data from the Commodity Futures Trading Commission showed hedge funds increased their long positions on gold by 19.7% in the week of January 20, bringing them to a two-year high. Short positions fell, translating to a net 27% more long positions. The last time hedge funds had this many long positions in gold was December 2012, when gold was trading at over $1,700/oz. Silver positions saw a strong shift as well. Why the change this year? See Monday’s blog to find out. Ever since the people of Lydia, an ancient kingdom in modern-day western Turkey, became the first people to use gold and silver coins around 610-550 BCE, gold has been an enduring fixture in Turkey’s economy and society. Today, Turkey is the fourth largest consumer of gold in the world and accounts for 6% of global consumer demand. The World Gold Council’s (WGC) latest report Turkey: gold in action examines this important role gold plays in Turkey today, and how the use of so-called “under-the-pillow” gold – gold stored in individuals’ homes – has supported the health of Turkey’s economy. See Tuesday’s blog for more. What can the recent crash of the Russian ruble teach us about gold ownership? Dmitriy Balkovskiy, a Russian coin dealer in Moscow who calls gold ownership a habit in “personal fiscal hygiene”, shared some insight in an article for Casey Research. 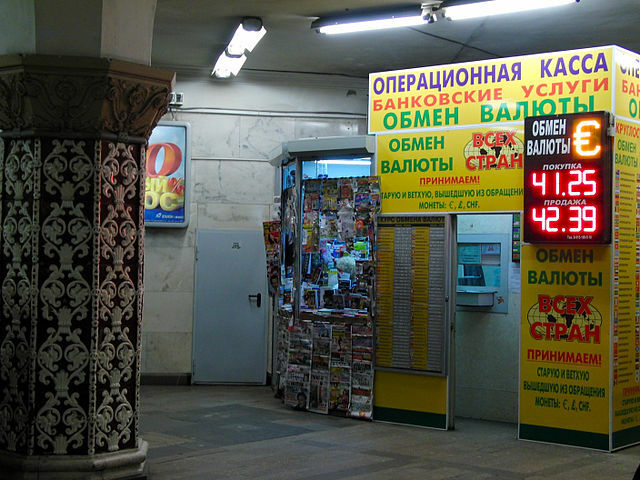 On December 16, 2014, a day deemed the “Russian Black Tuesday”, the ruble dropped from 58 to 72 per U.S. dollar. Balkovskiy recounts that day and the desperate scramble for a safe haven he witnessed, treating it as a lesson to be learned about preparing for potential economic crises. Read more in Wednesday’s blog. American Bullion, Inc. is a full-service precious metals broker that has helped thousands of first-time buyers own physical gold, silver, platinum, and palladium coins and bars, either through direct delivery or within a retirement account. We make the entire process quick, secure, and hassle-free, handling all of the details for you. Call us today at 1-800-326-9598 to speak with a broker, or request your Free Gold Guide by submitting the form at the top of this page. Invest in something real!